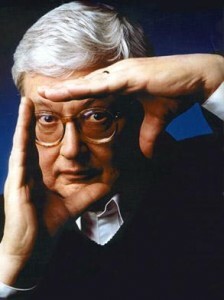 I’ve admired Roger Ebert’s skills as a movie critic for three decades. His health setbacks of recent years haven’t stopped him from telling us what he thinks of the latest efforts of actors and directors. That’s a great perspective, not only for those involved in creative occupations but for anyone. All we bring to our work, finally, is our skills and judgment. When we start to see ourselves in competition with others, we can ignore our best instincts and give our employers and clients the advice we think they want to hear, not what they should hear. That can be the way to win the career game short term, but those who truly make a difference know when to risk themselves and voice advice that’s difficult to hear. It’s our job to deliver the best work and the best thinking we can. If you have trouble mustering the confidence to do that, check out this advice from the Harvard Business Review. It will give you some tips on dealing with another kind of critic, your inner critic. In 2010, learn to give yourself a break so you can contribute more of yourself to your employer, family and friends. This entry was posted in Arts & Music, Leadership and tagged confidence, honesty, integrity, leadership, Roger Ebert, trustworthiness. Bookmark the permalink.